Will Fight No More Forever is a game of the retreat of the Nez Perce Indian tribe, the longest contested retreat in history. It is played on both the strategic and tactical levels so as to as fully as possible place the entire situation in the hands of the players. In the strategic game, played on a map of the Northwest and Northern states, a set of counters are used to represent the major units and bands involved in the campaign. Each is rated for its movement abilities and its Search or evasion potential. The major objective of the U.S. Army player is to coordinate his forces in such a manner as to be able to locate the Indian forces at will and to bring them to battle in the tactical game. The major objective of the Nez Perce Indian player is to maneuver his forces so as to avoid being trapped by the U.S. Army player, moving into contact only when he wishes to fight tactically and, after crossing to the plains, head into Canada with as few causalities as possible to end the game. Whenever a contact does occur on the strategic map the strategic counters involved are examined to determine their identity and then the surviving tactical counters that compose them are set up in a manner determined by how the contact occurred on one of four tactical maps (which tactical map is determined by the location hex type on the strategic map). After the action is concluded the players go back to the strategic map to continue the play until another contact leads to another action. 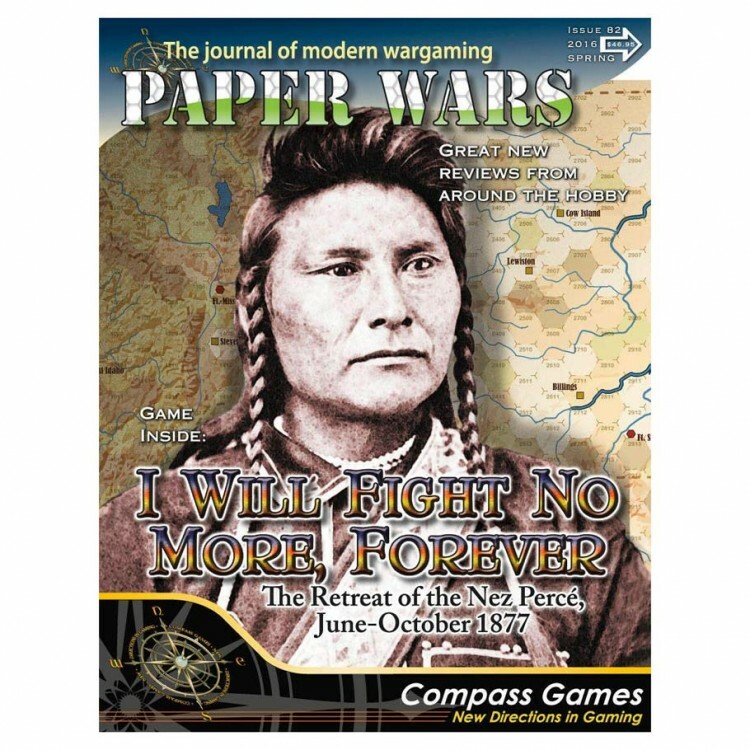 This is a large game for a magazine, with a strategic map, 4 tactical maps, 1 and a half counter sheets, and a set of rules for both the strategic and tactical games.